The Board of the European Film Academy (EFA) strongly protests against the arrest of Iranian filmmaker Jafar Panahi and demands his immediate release. Jafar Panahi is an internationally recognised artist and his work has been honoured at the festivals in Berlin, Cannes and Venice. Before his arrest on 1 March, Panahi was denied permission to leave Iran in order to attend the 60th Berlinale as an honorary guest. Panahi, 49, is a vocal supporter of Iranian opposition leader Mir Hossein Mousavi, and is currently believed to be being held at an undisclosed location. 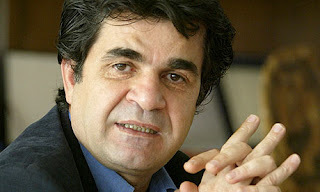 Panahi is known as one of the leading lights of modern Iranian cinema. He won the Camera d'Or award at the Cannes film festival in 1995 for his debut feature The White Balloon and took the Golden Lion prize at Venice for his 2000 drama The Circle. His other films include Crimson Gold (2003) and Offside (2006). The Board of the European Film Academy encourages EFA members to join this protest by personal letters to the respective Iranian embassy. Yves Marmion, Nik Powell, Volker Schlöndorff - on behalf of the Board of the European Film Academy.